They are in packs 1 – 9 so you will find multi patterns in each pack. Once you have a pack in your stash you can download a PDF pattern whenever you like and iron on the transfer ready to stitch. When you click on a PDF pattern you will find a link to the transfer pack that you need for your convenience. We are in the process of adding a variant on each PDF pattern which will make it even easier for you. As you know I discontinued all kits at the end of 2018 but as so many of you have requested the pattern in printed form, I have decided to provide a printed booklet option for some of the PDF patterns – so you will be able to purchase either a PDF or printed booklet according to your preference. Many of the PDF digital patterns now include this option as in the Provencal pattern below and there are more on the way. Based on the results of our embroidery pattern survey, I decided to have a go at creating my own artwork for future embroidery designs. 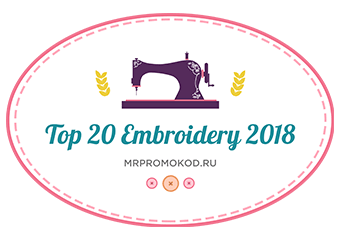 For years I have requested permission from various artists or paid huge sums to license designs and recently I found that many of these artists have licensed their designs exclusively to Cross Stitch companies so I no longer have the option to license them. I used to paint many years ago but was not sure I could still do it, but decided if I wanted to move forward I would have to at least try! So I got hold of my daughter’s paint brushes and box of watercolour paints that she uses for school and proceeded to the drawing board. My first attempts were a bit clumsy and a few ended up in the dustbin, but it is starting to come back to me slowly…. I have now painted a few rough sketches with ideas for embroidery patterns. I hope to use them for needlepainting and of course shading is very much in mind while I am creating them. I am sharing some of these with you as would value your opinion as to whether you think they will be ok for patterns, what do you think of the colours and am I on the right track with the naive landscape scenes that so many of you requested?